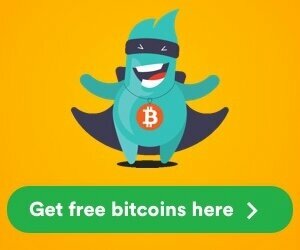 Voici un faucet qui fait partie de la même famille que Satoshi Hero très simple d'utilisation : vous pouvez effectuer 3 réclamations toutes les 20 minutes. Les gains vont de 1 à 18 satoshis par réclamation (soit un gain potentiel de 3 à 64 satoshis). D'après mes calculs, la moyenne se situe aux environ de 11 satoshis toutes les 20 minutes. Cerise sur le gâteau : les gains se cumulent avec ceux de Satoshi Hero ! La cagnotte grimpe donc plus vite !!! Il ne vous reste plus qu'à essayer !! Here is the faucet which is a part of the same family as very easy to use Satoshi Hero: you can make 3 complaints every 20 minutes. The earnings go from 1 to 18 satoshis by complaint (that is a potential earnings of 3 in 64 satoshis). According to my calculations, the average is situated in approximately of 11 satoshis every 20 minutes. Icing on the cake: the earnings accrue with those of Satoshi Hero! Thus the kitty soars faster!!! You have only to try! !